Carl Benz and Gottlieb Daimler grew up in southern Germany about 60 miles apart, not knowing about each other. They are the fathers and the beginning of the Mercedes Benz history. 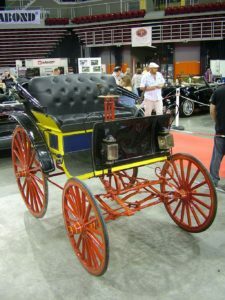 Benz trademarked the very first gasoline powered car, a tri-wheeler in 1886, later the same year Daimler constructed a motorized stagecoach. Daimler then produced a deal with William Steinway of piano fame, to create Daimler Cars in Long island, New york. Production there commenced in 1904 till a fire in 1907. Benz built his 1st four wheel vehicle, the Victoria, in 1893, followed by the creation of Velo the following year. That automobile joined the very first auto race between Paris and Rouen, France. 1895 was the very first year of Benz trucks. The very first Mercedes automobile was marketed in 1901, named after the daughter of Emil Jellenek, a wealthy Austrian auto enthusiast who was offering financing. The year 1923 witnessed fifteen million cars world wide, of which half had been produced by Ford (see Ford history), and 80% were in the United states. In 1924 the two companies Benz and Daimler started an alliance under their separate names. In 1926 both merged, and Mercedes brand production cars began. The combined company made about 8,000 automobiles in 1927, and introduced the first diesel truck. This was a huge improvement from the early post-war years. The three-pointed star started in 1909 and was copyrighted in 1928. The company introduced the 770 Grosser, its largest and most lavish car ever, in 1930, to a world still spinning from the Wall Street crash. Weighing about 6000 pounds and powered by a 7.6 liter V-8 engine, it was the epitome of wealth. In 1931 it launched yet another innovation, the model 170, with the first-ever 4 wheel independent suspension. For the duration of the thirties Mercedes continued its racing achievement. In 1937 the 200 mile an hour W125 won seven out of 13 races. The pre-war 170V sedan was generally the same vehicle when post-war production started again in 1948. In the mid 50s the firm created the super-fast 300SL sports vehicle with upward opening doors, and race-bred refinements. These days it is a desired collector’s item. In the late fifties, it made the first crumple zone body design, built to endure a crash while keeping the occupants secure. About that time, the provider produced a contract with the Studebaker-Packard Corporation whereby Mercedes automobiles will be sold through their dealer network. When Studebaker went out of business in the mid sixties, it is dealers continued marketing Mercedes-Benz automobiles. In 1963 the limousine-sized 600 model pioneered air suspension. Daimler-Benz merged with the Chrysler Corporation (see Chrysler history) in 1998. The merger was dissolved in 2007 after management disagreements. That year the initial Mercedes hybrid models were offered. Right after world war two, the very first factory outside Germany started in Argentina, and the brand is now built in several nations. The author presents a full website about the history of cars. There you’ll be able to obtain valuable facts about car history like this article. For more particulars, check here.